Ongoing deal, never expires. Last validated 1mo ago . Used 31 times. Gian Rondon I am validating that this coupon works correctly as described. 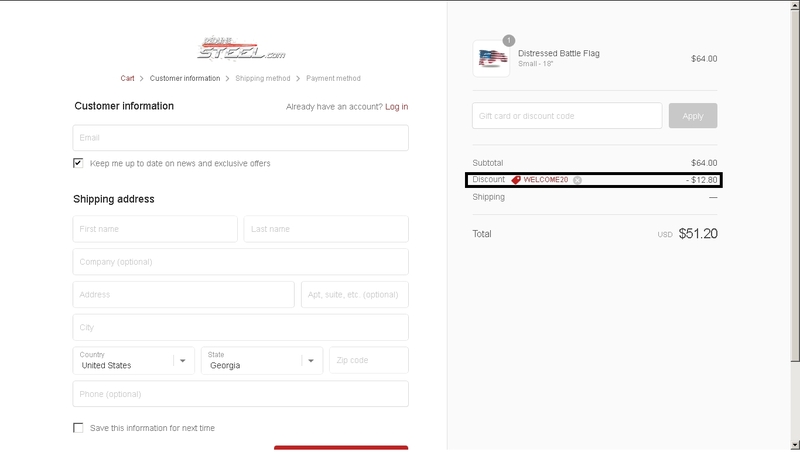 Simply add the items you want to buy to the cart or bag, then apply the promotional code and you will get this limited time offer. 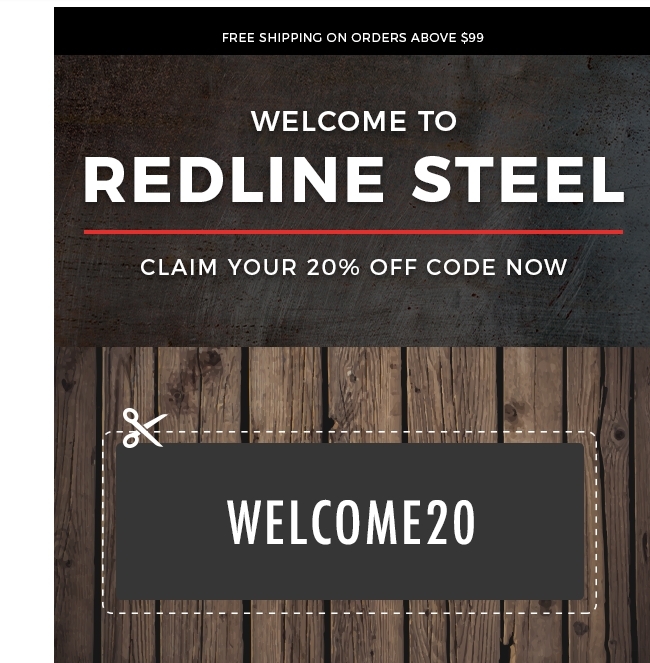 THOMAS BROWN Save 20% Off Your Order at RedLine Steel (Site-wide). Just enter this code at checkout to apply the discount. There may be some exclusions that will apply to this deal. rosa graterol I am re-activating this expired deal. Simply enter the code during the checkout process to apply this discount. There may be some exclusions that apply to this deal. 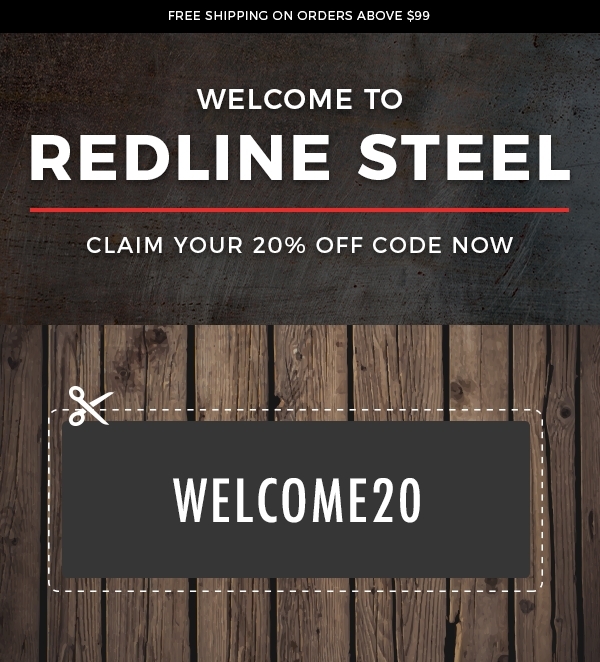 Yisus Use the following promotional code WELCOME20 to get Save 20% Off Your Order at RedLine Steel. In order to redeem online, you must enter the shopping cart, search the “enter promotional code” box and apply. 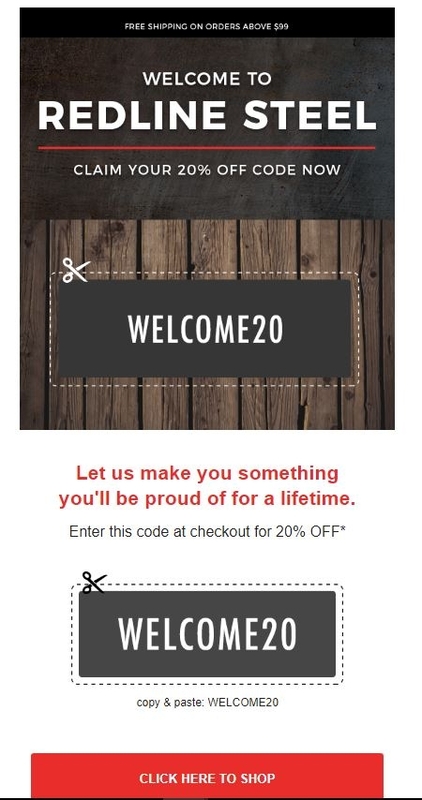 So you can enjoy your discount.